Humerus Fractures Caused By Violent Crashes The humerus is the bone in the upper arm from the shoulder to the elbow. It’s very common for it to be fractured in certain types of violent crashes. A fracture of the upper arm is often caused by trauma suffered when a driver or passenger is involved in a car crash. The medical terminology commonly used for a broken upper arm is a humerus fracture. Signs include: pain, swelling, inability to move the upper arm, and possibly weakness in the hand and wrist. A proximal humerus fracture is one in which the humerus breaks near the shoulder joint. Sometimes these fractures affect the rotator cuff tendons, which can cause additional problems with pain and range of motion. A mid-shaft humerus fracture is a break mid-way between the shoulder and elbow joints. This fracture will usually heal without requiring surgery and often affects the radial nerve, which extends down the arm to the wrist and back of the hand, causing numbness or weakness , usually temporary, in that area. A distal humerus fracture is a break in the upper arm bone near the elbow joint. This type of fracture is rare in adults, but fairly common in children, and often requires surgery. Unless the fracture is severely displaced, the usual treatment for a fractured humerus is a sling or brace to immobilize the arm. Casting is usually not possible. 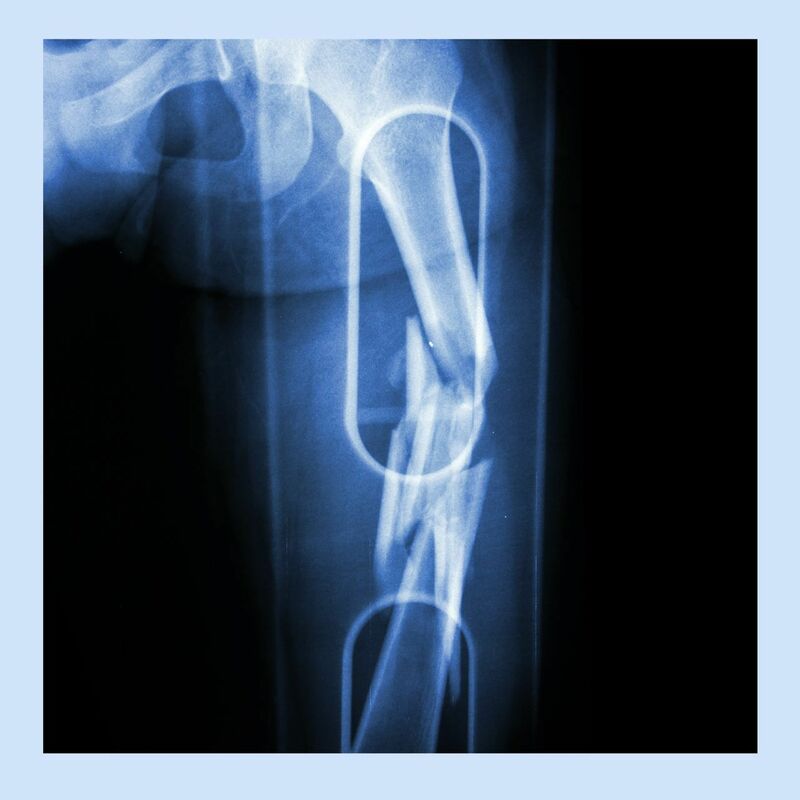 If the broken bones are displaced, open-reduction and internal-fixation surgery may be required. The arm is opened with an incision and the bones are realigned and held in place with plates, pins, screws, and wires. Surgery may also involve reattachment of the rotator cuff muscles. Surgery is followed by a course of physical therapy to improve circulation, reduce stiffness, and increase strength and range of motion. Typically, a broken arm takes between four and six weeks to heal, although depending on the severity of the fracture and whether surgery is needed, it may take longer.